That's why we chose our secret warrior signal. My first suggestion was to blow a Viking horn. Don't google that, by the way. 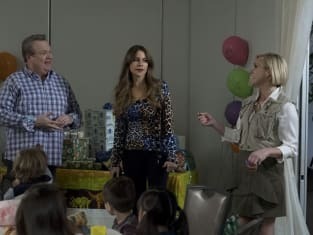 Modern Family Season 9 Episode 22: "Clash of Swords"
Hey, you're blocking the driveway. Hit the road already. Permalink: Hey, you're blocking the driveway. Hit the road already.